Located an hour north of Waikiki, where the Anahulu River joins Waialua Bay, sits an old plantation village from the beginning of the 1900s, Hale’iwa. While the town may be known as quaint, it is also in the heart of North Shore surfing and Hawaii’s Big Waves. If you are visiting, stop in at the Grass Skirt Grill for a bite to eat and a grab shave ice down at the legendary’s Matsumoto’s. If you are looking for something slightly different to eat, there are plenty of good restaurants, including enough haole food for those who lack any adventure. There are plenty of things you can do. If the surf isn’t too big, hit the water. There is also paddle boarding, golfing, hiking, horseback riding, kayaking, jet skiing, Don’t leave the Islands empty handed. The Mainland is at least 2500 miles away, so shop while you are there. Check out the art galleries while you are there. 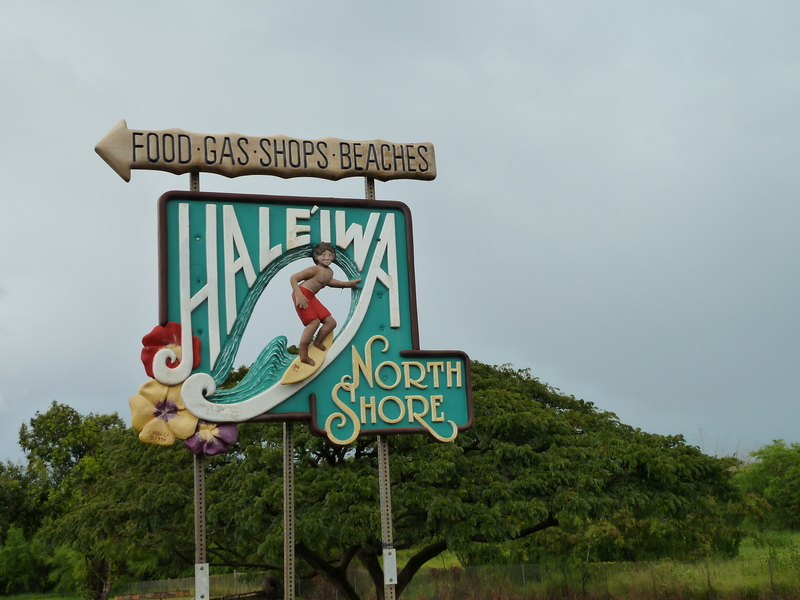 If you are looking for more info, Hale’iwa has its own great website with links to a lot of the local attractions, more than a few nice art galleries and restaurants, Haleiwa Town. Checkout the Hale’iwa Arts Festival in the summer. The North Shore Surf and Cultural Museum is currently being relocated but check their link to get the latest update. North Shore’s Live Surf Web Cams. Next, more North Shore sunset.